Completed 1956 as Hinnites for STUK. 15.3.1976 arrived Inchon for scrapping. Larry Tomas unknown 1966 Larry died aboard Hinnites on 29 april 1966 near Falmouth. Joined in Rotterdam, nearly turned round it was a rust bucket. Paid off in Panama, Chief Steward told me it was food poisoning and we had a bouncing baby boy in June 1973. The Hinnites was my first ship when I was just 21. Although I ended my career with shell over 34 years ago , I still have dreams and fond memories of those times. The Hinnites for me was a good ship with lots of character and made by craftsmen. The engineers on board were my mentors and I took much of my new found skills with me into later life and an on-going career in water treatment. 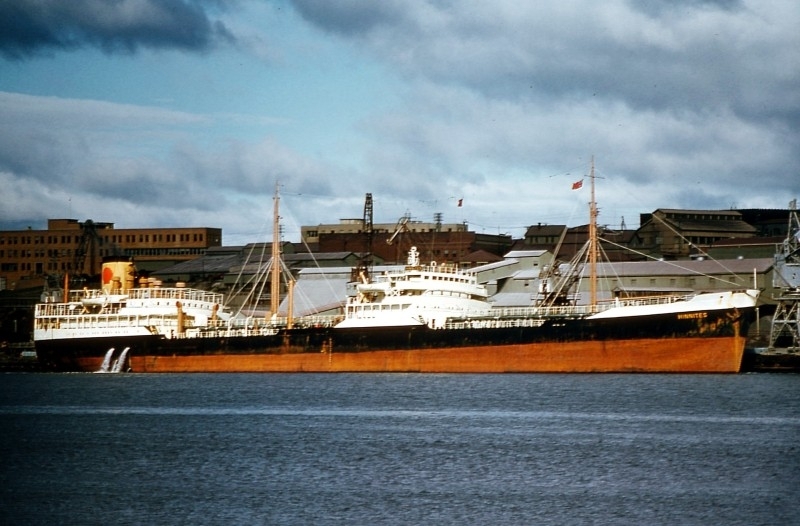 Joined the Hinnites on the River Tyne as an 18 year old Engineer Apprentice in Sept 1961 and 10 months later had sailed right round the world on her, visiting many countries I didn't even know existed. What an experience. A young inexperienced Engineering chap joined ship in Newcastle thought the ship stopped at night.Didn't like the idea of standing watches left the ship the next time we docked UK. Hinnites , otherwise known as the the honeymoon ship. Yes we did and it was great!!!! Have you sailed on Hinnites? Log in and add yourself as a sailor to the Hinnites! Log in and add your personal story to the Hinnites!